The trick to incredible artwork in Procreate is getting the right brushes. 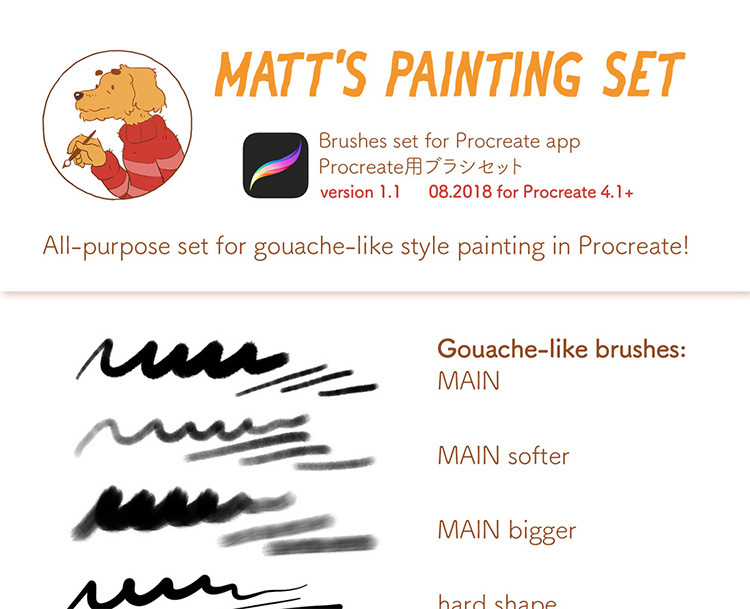 You’ll find plenty of brushes already built into the program, but one of the great things about Procreate is that you can also add or make your own! This means other artists are creating brushes as well. And many are selling their brushes or even giving them away for free. 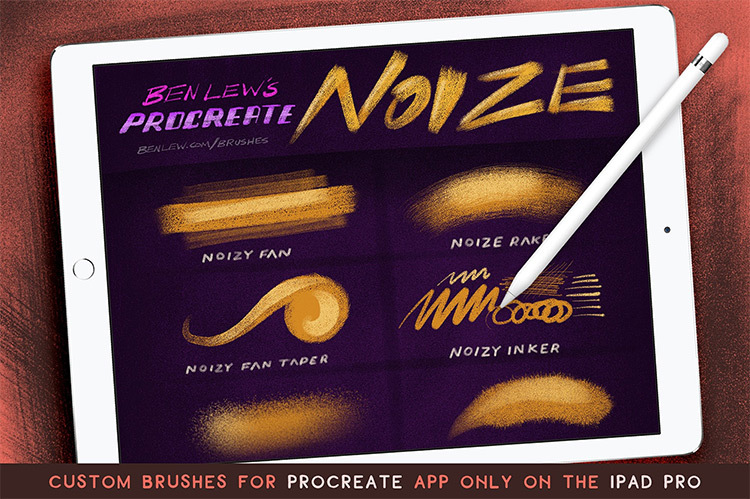 So we scoured the web and put together this massive collection of awesome Procreate brushes. With this many incredible brush sets the possibilities are endless. 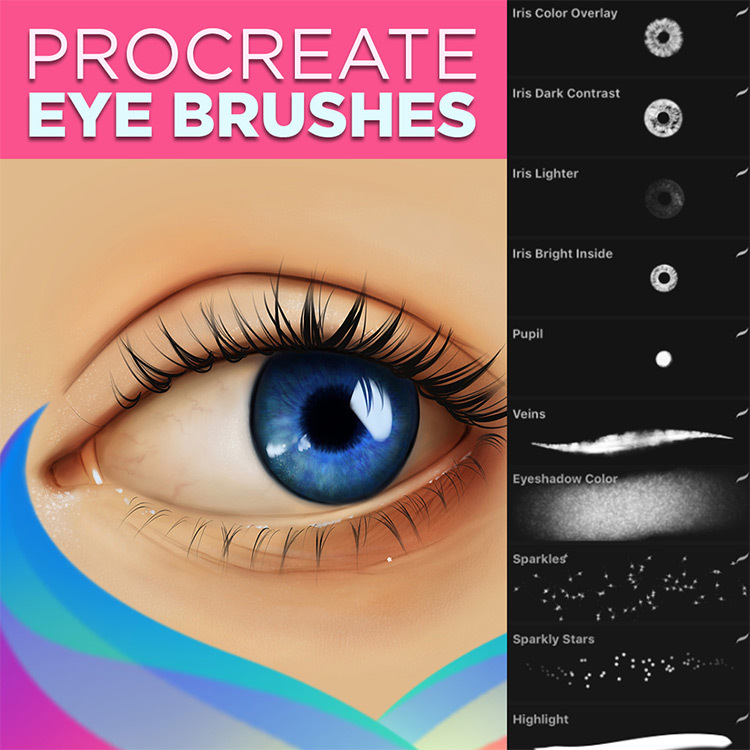 If you aren’t afraid to jump right in with tons of different brushes then try this huge pack of over 450+ brushes for Procreate. This is a great pack to invest in if you want to get into digital drawing but still love the look of traditional art materials. Most of these brushes closely imitate the appearance of physical art materials like oil paint, ink, pastel, and graphite. Plus they work in a similar manner. With just a little practice you might find the Apple Pencil even easier to use than the actual materials! As an added bonus, you’ll also get plenty of color swatches for manga art, comics, and any other illustration project. The purchase of this pack includes all updates to the artist’s brushes and collection, so you’ll always be working with top quality brushes including any new ones. This pack of 42 brushes is perfect if you love the look of charcoal and pastel, but not the mess. 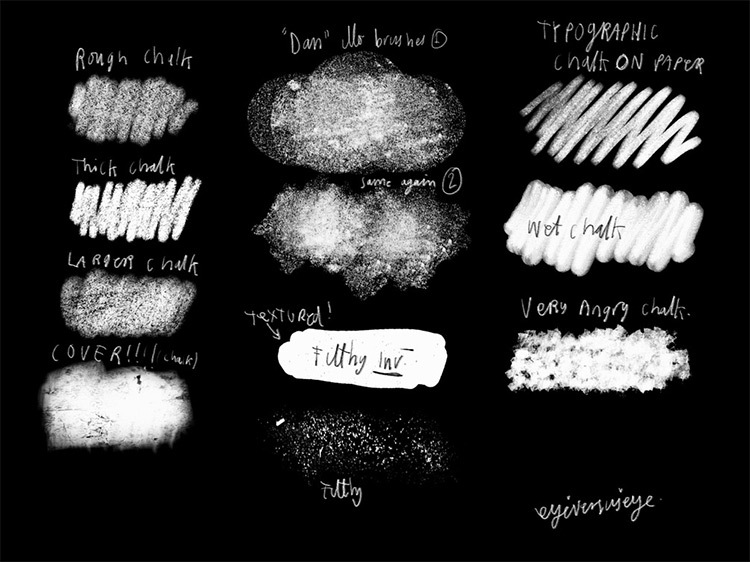 With these custom brushes you can find beautiful chalk textures, including that awesome dusty look of lightly applied pastel or charcoal. Plus the rich full-coverage appearance of heavily applied pastels really shines with each brush. It’s perfect for concept art and illustration no matter what your drawing style is like. 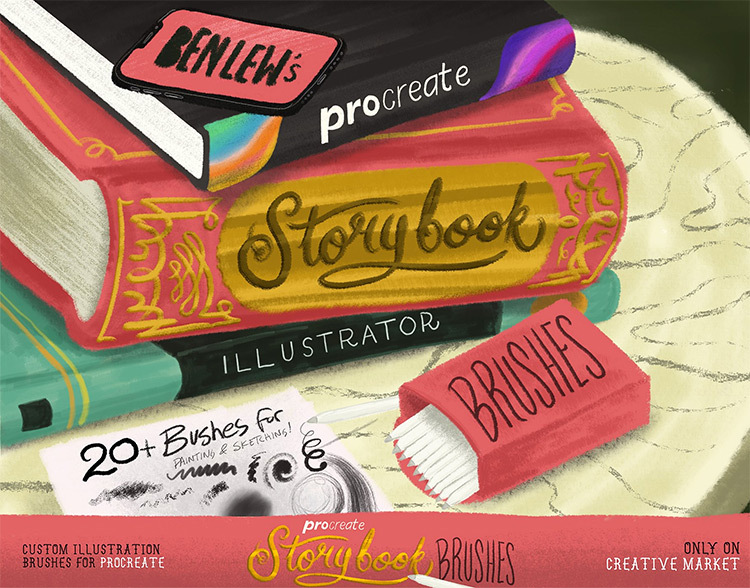 In this pack you’ll get more than 20 brushes specifically for drawing gorgeous storybook illustrations. It has all the brushes you need for illustration, including thinner pencil and pen-like brushes for drawing and inking, super skinny brushes for fine detailing, and thicker textured brushes for quickly creating stunning backgrounds with textures, shadows, and highlights. There are even three brushes specifically for painting hair. Every illustrator’s fantasy, right? 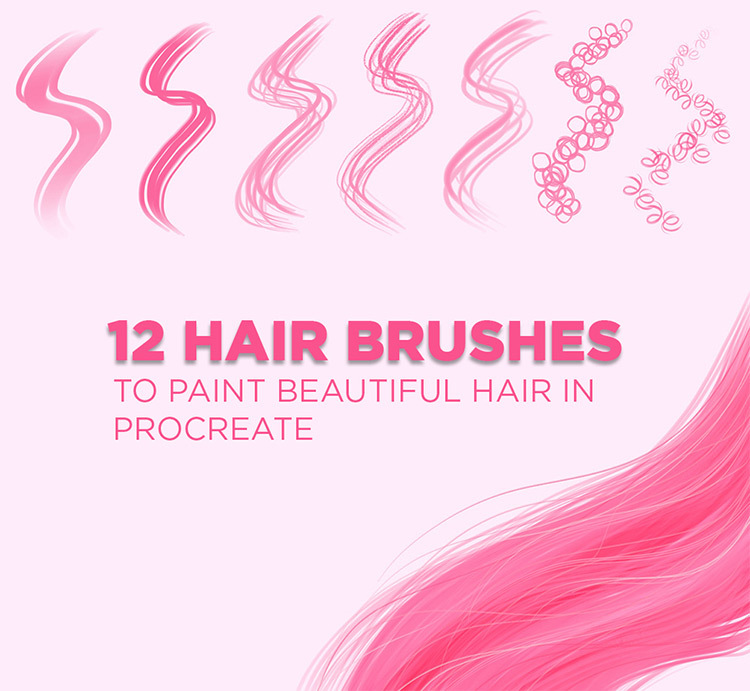 You’ll love the unique strokes you can get with some of these brushes too. Who knows, they might help to change whole artistic style! These 50 high-quality brushes emulate real life watercolor techniques like washes, salting, wet on wet, drops, and sponging. Choose different brushes to adjust how much “water” is in your brush to control the texture. You can even adjust the opacity to play with the final textures even more. Some brushes can mimic how watercolor looks on different types of paper too! These brushes give all the beauty and whimsy of watercolor without messing around with actual water and masking fluid and stuff. A simple pack comprised of 8 super textured brushes for some fun, scratchy, gritty layers in your digital paintings. 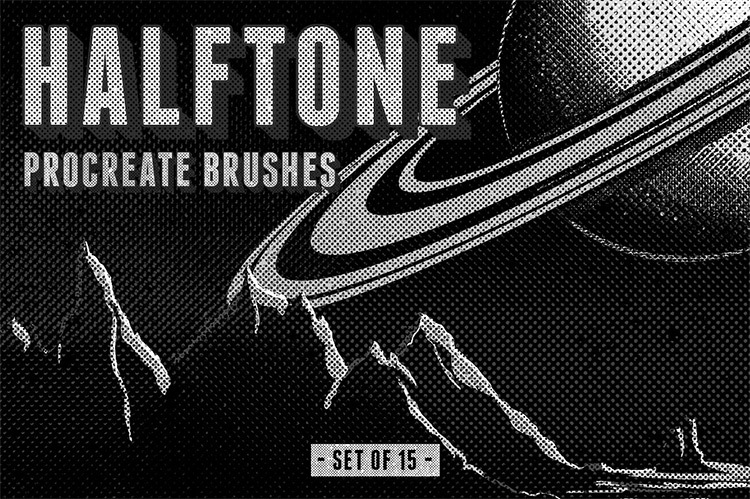 For just 8 brushes this pack boasts a wide range of textures. Some of the brushes look similar to chalk, and some look more like splatter spray paint. This is perfect for concept art or illustration work when you want the texture of stone or concrete, or if you want to soften shapes like any of the illustrated cartoon animals shown in the preview. For a small donation(or totally free if you prefer) you can get this stunning natural fiber brush to create the appearance of paint on canvas. 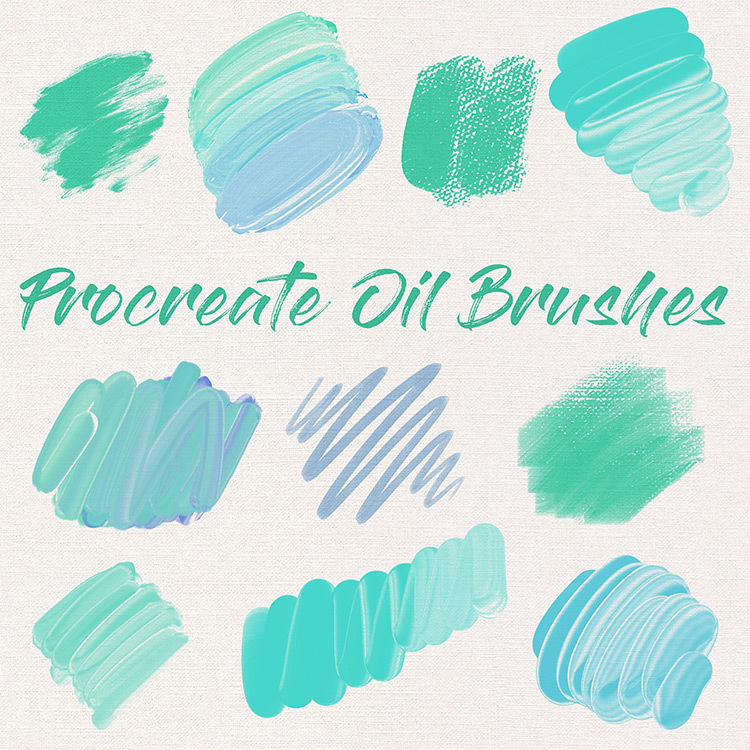 If you still love the look of oil or acrylic painting and want to bring that to your Procreate work, make sure to grab this brush set and use it often. If you love it maybe give a little somethin’ back to the artist too. 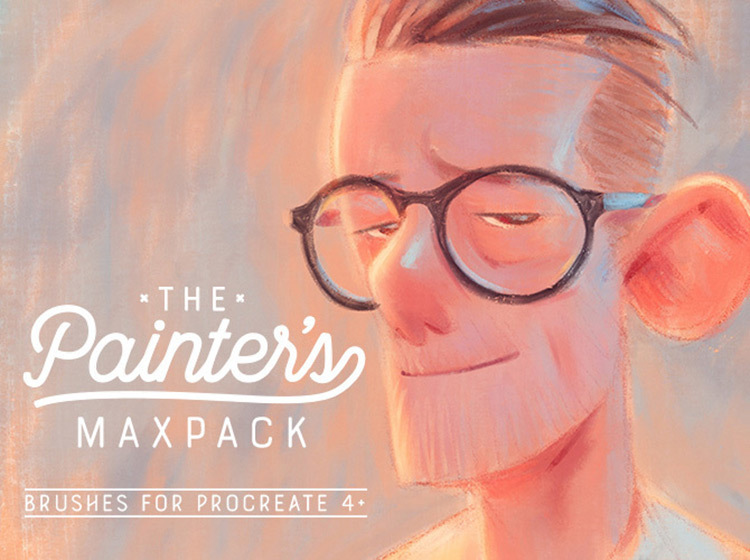 If you’re a Photoshop convert who’s still getting used to Procreate, this is the pack for you. These brushes are similar to what you’d find in Photoshop so you can start working in Procreate seamlessly. Inside you’ll find some basic markers and line brushes with a few different textures as well as some cool scatter brushes to instantly add unique details to any piece. The artist even provides some guidance on how he uses each brush. Photoshop veterans, jump right in! 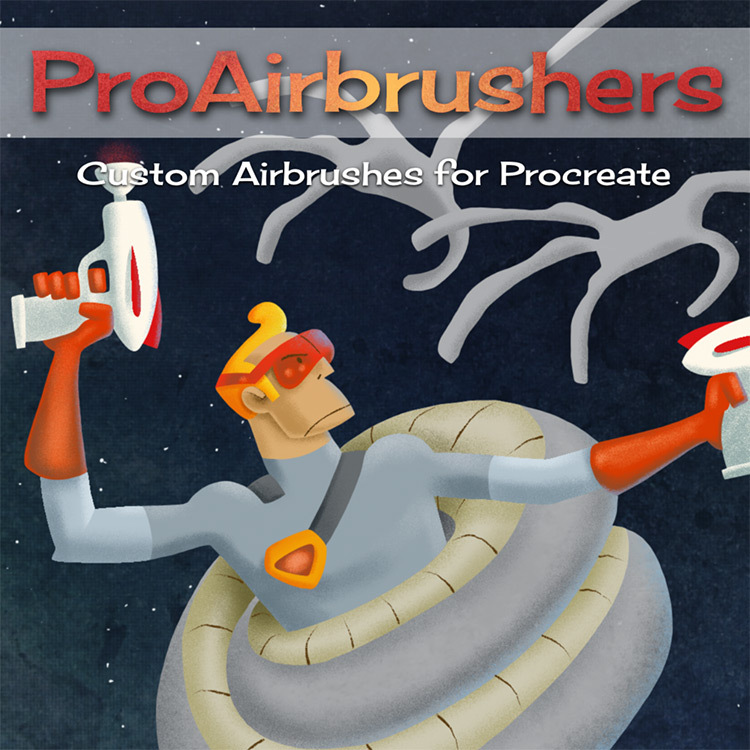 This pack of 10 Procreate brushes appears like gouache or graphite powder applied with different sizes and textures of brushes. 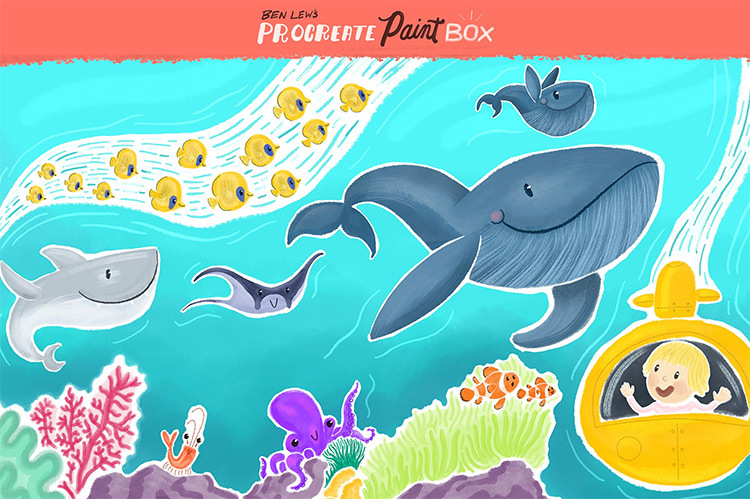 These brushes allow you to create beautiful, painterly illustrations with all kinds of textures, from smooth and well-blended to scratchy and busy. So you wanna get to digital sketching huh? 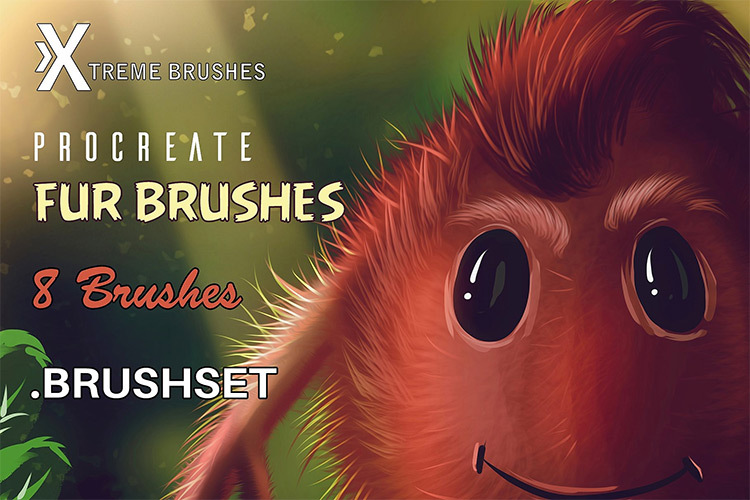 Well here are 30 brushes specifically made just for that! These are made to look like different sizes and types of graphite pencils and charcoal, so they’re great for sketching practice or base sketches. 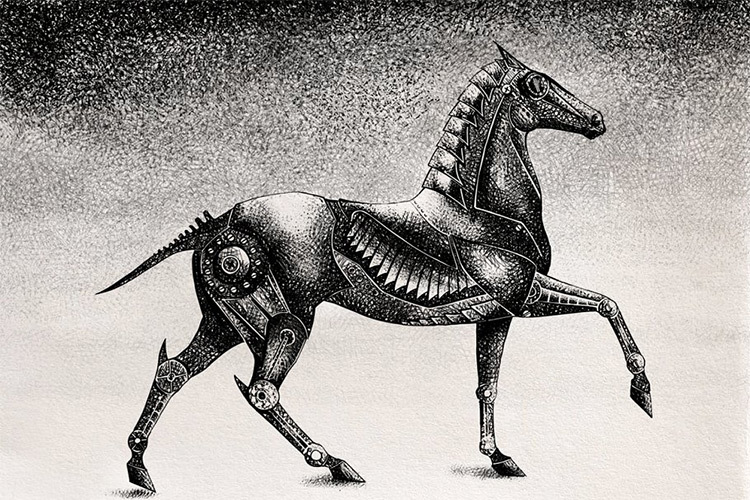 Or you could even use them to create highly detailed, complete drawings in a graphite or charcoal style. These 16 brushes give you the look of perfectly blended charcoal that’s super hard to get in real life without smudging the crap out of your work. If you’re a fan of blending stumps you’ll love these brushes. You can even get perfect side shading using the Apple Pencil’s tilt feature. Here we’ve got about 20 brushes for inking and pencil drawing, which is perfect for basically everything really. Hence the name. These brushes blend beautifully together as well so this feels like a real cohesive set. Use them for your base sketches, for adding detail to completed pieces, or for entire drawings on their own. 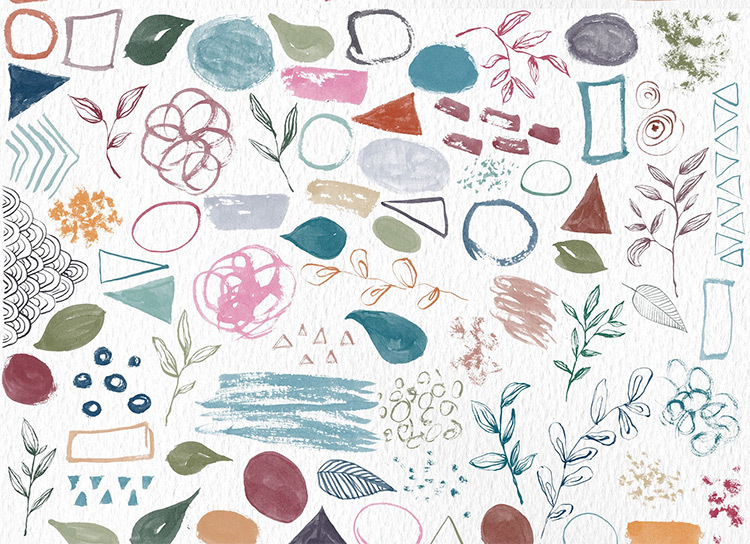 With 68 gouache brushes in total, these are all the brushes you’ll ever need to get perfect details and textures in your illustrations. Play with the opacity to go from a watercolor-like appearance to a drier gouache or acrylic look. You can mix these in with other mediums or create entire illustrations with only these brushes. Lots to play around with. Designed solely for sketching, this kit provides you with several brushes comparable to just about any pencil you’d find in a standard drawing pack. Those brushes alone can save you a ton of time and really up your shading game. 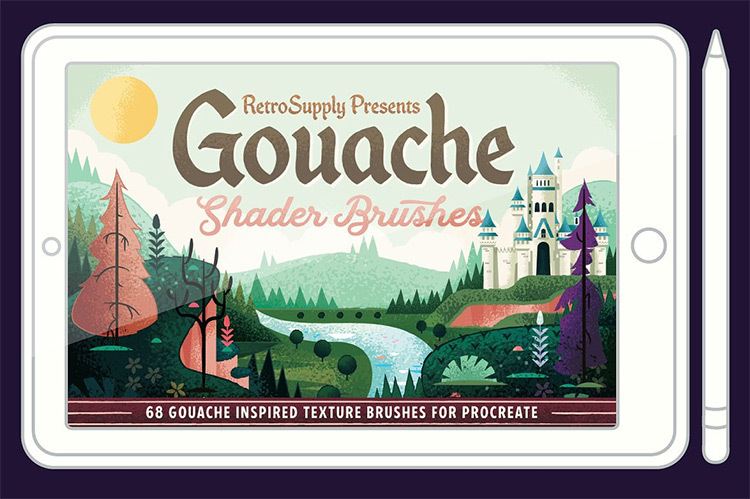 In this basic set made for gouache-style painting you’ll find 10 brushes for applying large areas of color with different textures, smaller brushes for adding details, and some fun texture brushes for playing with your brush strokes. There’s even a super soft airbrush tool to cover a lot of area quickly with a real smooth texture. 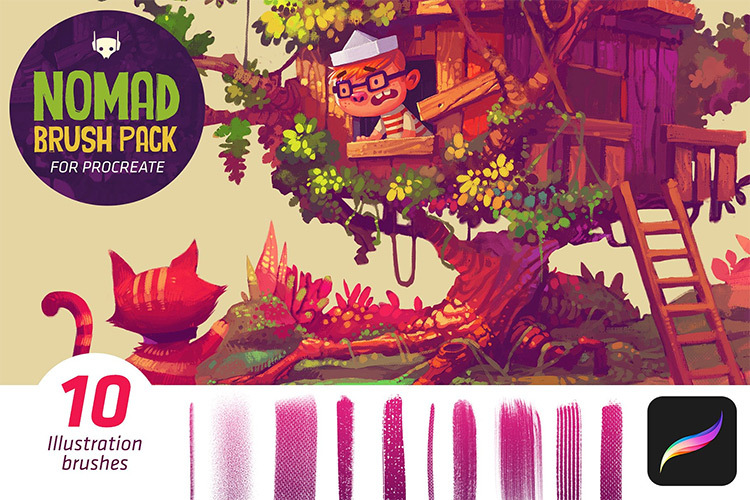 This pack is great to start with if you’re just getting into a digital gouache style. Learning to draw accurate portraits will take time. And it takes even more time if you move from traditional to digital art. 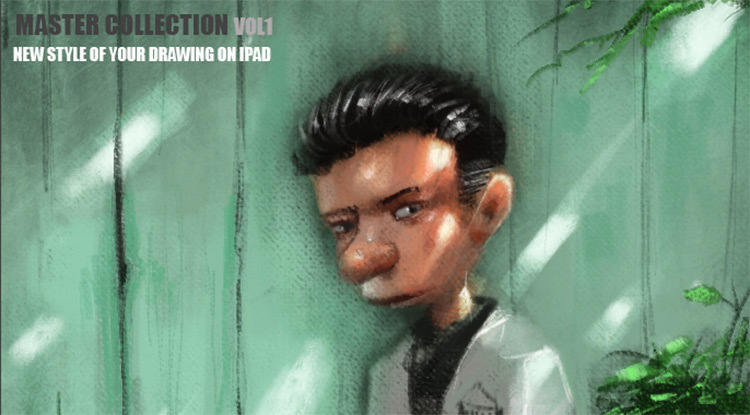 But this makes the task easier with 20 lovely brushes specifically for portraiture in Procreate. With these brushes you’ll have the tools to effortlessly create the textures for hair, skin, freckles, and eyelashes that look true to life. 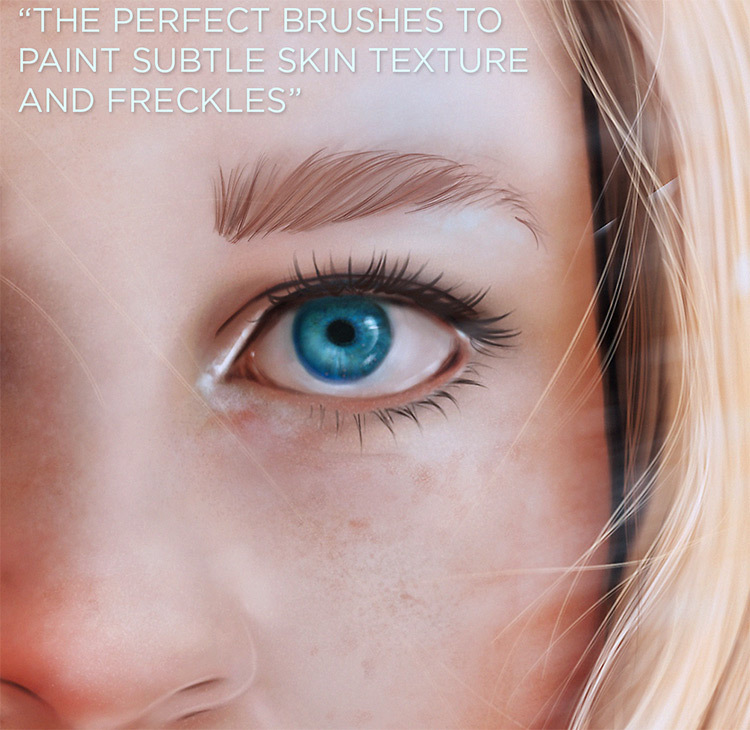 The kit even includes some custom brushes for blending and blocking in colors for portraits. Don’t miss this if you’re interested in painting portraits with Procreate. The right brushes can make all the difference. 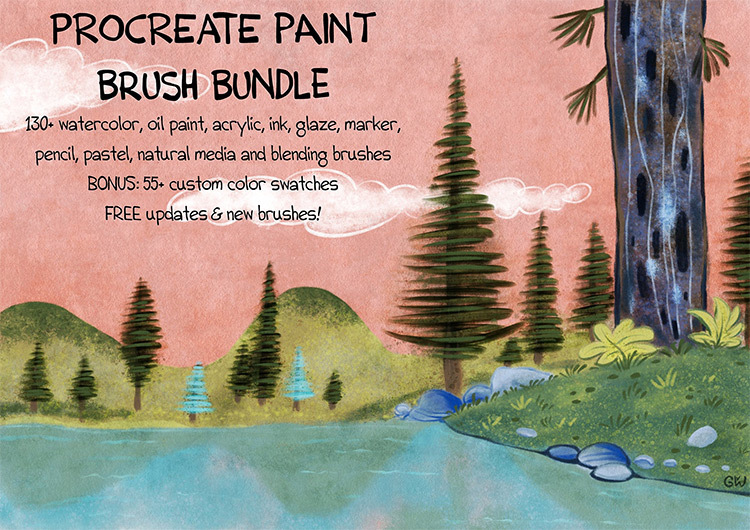 This kit offers 15 natural media brushes to give your work a traditional, painterly appearance that you’d normally find in oil or acrylic paintings. You’ll also get 5 additional smudge brushes for even more textures and lifelike blending. Use these brushes for broad strokes and wide color coverage with lots of beautiful, visible marks. Or you can add fine details to add that extra level of realism to your work. This includes brushes styled just like pastels, acrylics, pens & inks, along with Conte crayons. This set is perfect for painters and pastel artists making the switch to Procreate. These brushes model the very specific appearance of an oil painting, complete with the characteristic canvas texture and chunky blending you’d get with a paintbrush or palette knife. Of course, you can also blend smoothly if that’s more your thing. The pack contains plenty of brushes that emulate traditional paint brushes for oil as well as brushes for different canvas textures. If you love the look of traditional oil paintings but don’t want to deal with the paint thinner, turpentine, ventilation, or stains that never come out, you can get the same look in Procreate with a lot less effort. Out of all the premium packs online this has to be one of the cheapest. And it’s absolutely perfect for chalk, charcoal, or pastel style drawings. The textures of these brushes are stunning to see and they add so much life to any piece. With 15 brushes to choose from you’ll be able to recreate just about any texture you would normally expect from real life chalk pastels. There’s even a brush for wet chalk. Depending on your mood, these brushes will either make you feel like a super cool pastel artist or like a giddy kid painting with chalk on a sidewalk. 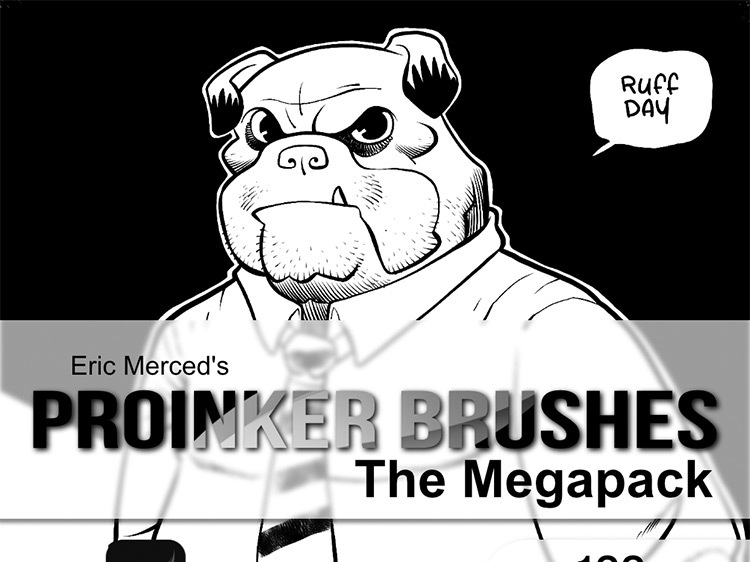 This thing is absolutely massive with over 130 brushes tailor-made for inking. Whether you’re a seasoned illustrator and cartoonist or if you’re just toe-dipping for now, you’ll find everything you need for inking and blocking in color right here. If you do pick this up try playing with a few brushes at a time to explore the different textures and line qualities you can get. You’ll probably find some favorites right away. Keep adding in new brushes until you get to know the entire kit. This one pack could take care of all your inking needs for good. Airbrushing lends a soft, smooth, and sometimes smoky appearance to illustration work. For a classic airbrushed appearance you might try this pack which is full of really unique brush styles. You can texture your drawings with this pack alone or work it into your regular style alongside other brushes you typically use. And also: why not try both? Manga fans, this pack has your name written all over it. 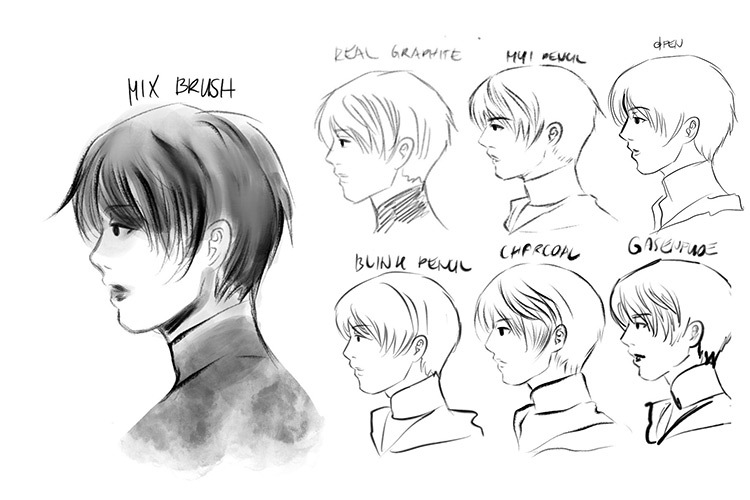 All of these brushes were specifically designed for drawing, inking, coloring, and texturing traditional manga. You’ll find brushes that perfectly mimic graphite, charcoal, and watercolor along with some special texture brushes for things like foliage. This kit has everything you need to create dynamic-looking manga pages from scratch. If you’re a fan of fine tipped ink pens you’ll love this fine liner brush designed to emulate a 0.6 technical pen. This is made especially to work best with high resolution documents, so if you’re creating something that’s 300 dpi or larger, this detail brush is perfect. 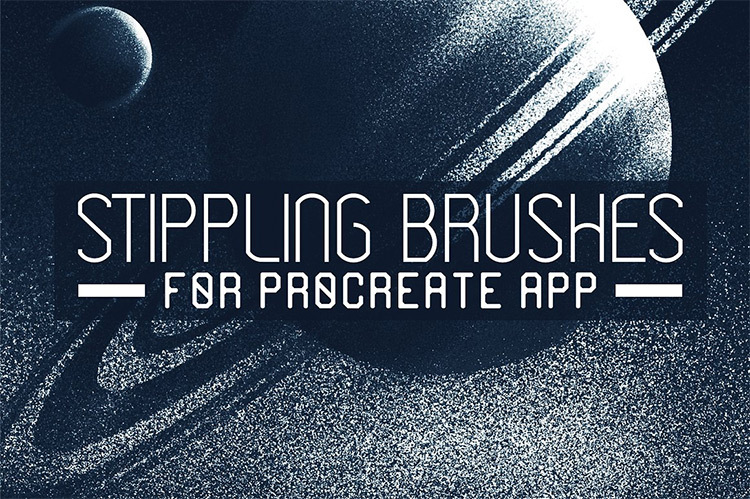 This is perfect for painters who want to get the same textures, brush strokes, and layering effects in Procreate. All 25 brushes allow you to mix colors right on the canvas and push colors around like you would with actual oil paint. You’ll even find different brushes to play with the amount of paint that’s “loaded” on the brush. This means you can use brushes with lots of paint for chunky strokes, or you can use drier brushes for a lighter, dustier texture. 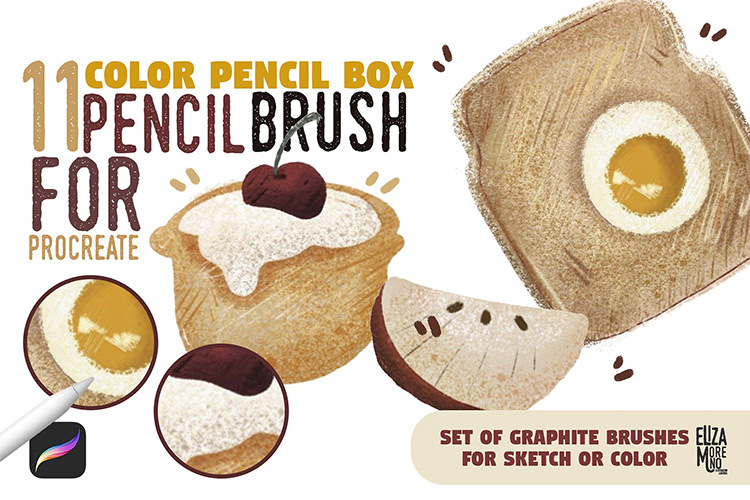 The kit also includes a pastel pencil brush for base sketches. So you can use this pack to create an entire painting from start to finish with the appearance of traditional materials. The best part is, these brushes are very tuned into the Apple Pencil’s tilt feature so you can really experiment with your brush strokes the same way you would an actual paintbrush. 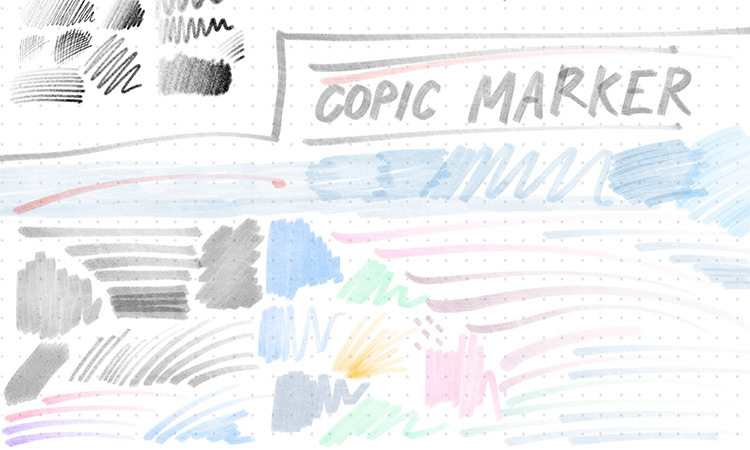 Copic marker fans, your dreams have come true. 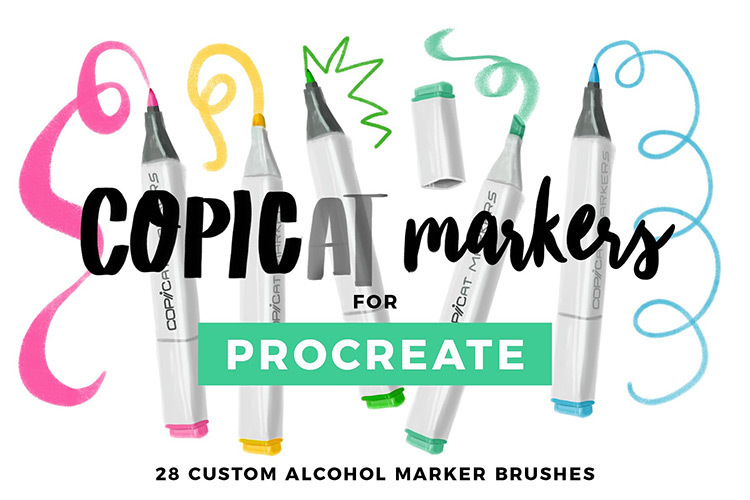 This pack of 28 brushes perfectly emulates all the opacity and radiance you love about alcohol markers, but without bleeding through your paper. It also comes with a free tutorial for drawing with the brushes to get that authentic alcohol marker look, because it does take some practice. This is perfect for illustrating, practice studies, cartooning, and any kind of art you want to make. 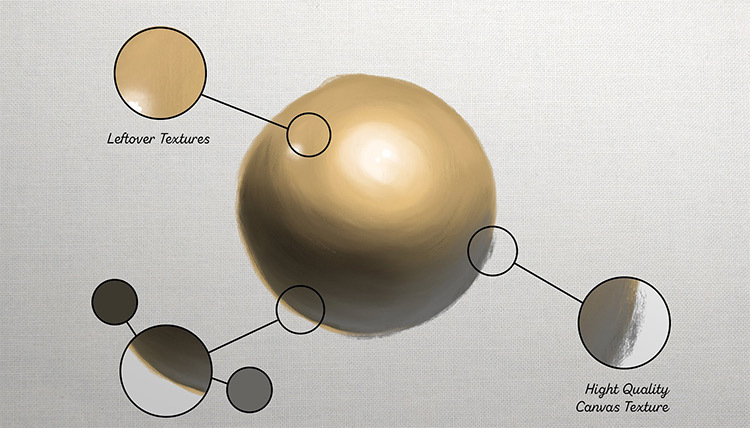 The brushes allow you to play with different textures and levels of coverage since marker isn’t always perfectly smooth, and that’s a good thing! You’ll also find brushes with different “nibs” so you can play with line quality. These brushes look super realistic and honestly, it’s hard to tell that the example drawings weren’t actually drawn with Copic markers. If you’re a big fan of alcohol art markers give this pack a try. 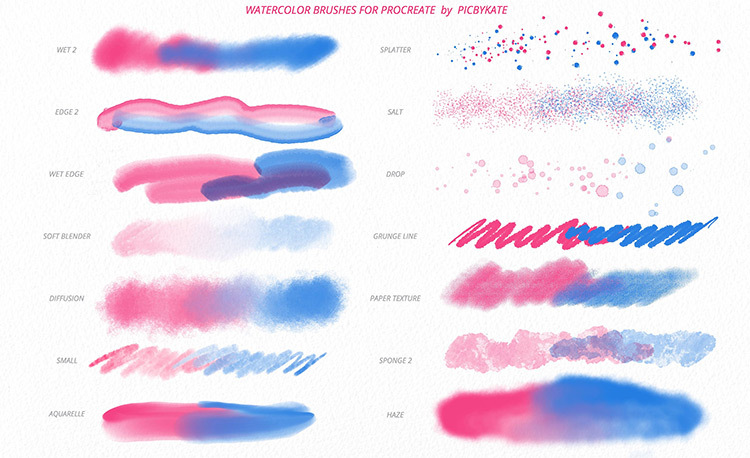 Now if you’re in a texture rut and want to shake things up a bit, try this brush pack. It has 52 brushes for just about any texture you can think of to add extra dimensions and life to your art, no matter what style or “digital medium” you work with. Inside you’ll find textures for foliage, fur, denim, wood, smoke, particles, cross hatching, stone, tons of dry brushes, and plenty of other textures you can use in so many different ways. This is perfect if you want to add a little roughness to your work, or if you just want a quick way to add texture without having to draw it all by hand. 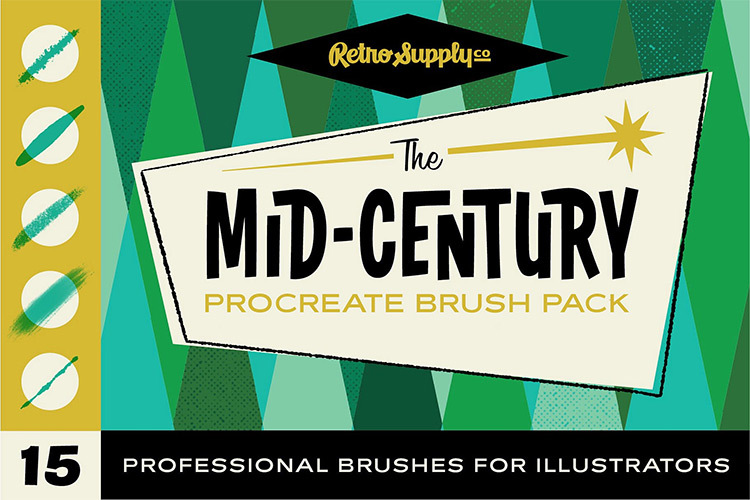 Specifically for some unique illustration work, these 15 brushes capture the recognizable aesthetic of mid-century American illustration. 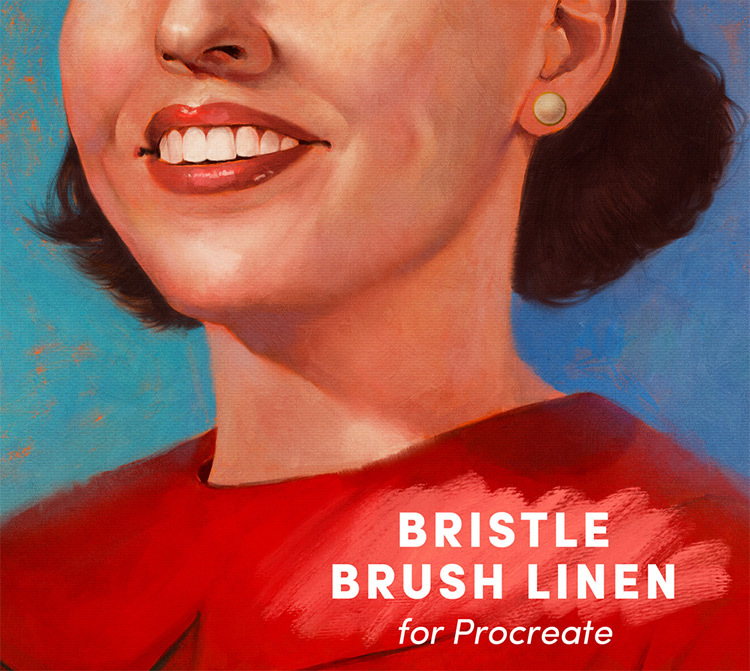 It’s perfect for adding a retro vintage-y look to your drawings and paintings. But you can even put your own spin on this! It’s perfect for children’s book illustrations, comics, ads, logos, but the possibilities are limitless here. With just a few brushes you can change the entire look of your piece. Add this pack to your toolbox and take a trip back in time. These 15 patterned brushes help you effortlessly recreate the look of vintage superhero comics from scratch. It comes with two different inking brushes that work perfectly with the other textures as well as several brushes with variations on the dot pattern you’d find in older mass printed comics. You can stick with the black, white, and grey tones for a dark noir look… or play with adding bright colors for a classic, punchy comic book appearance. You can create an entire piece with this brush pack alone or try using them with other brushes to experiment with different styles. 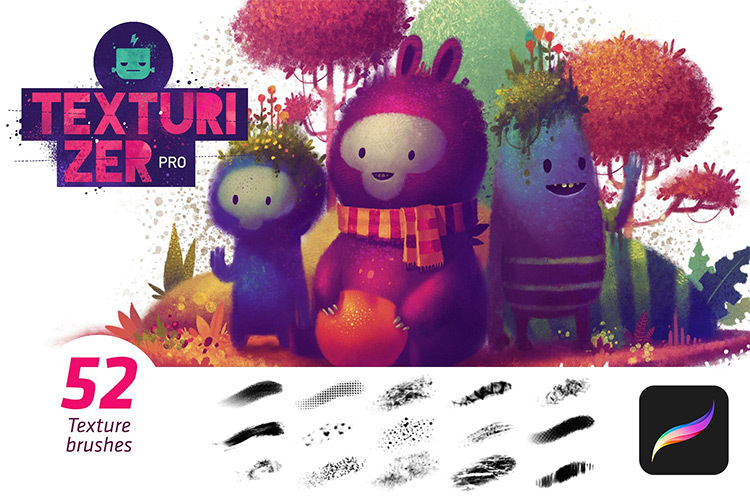 30 brushes that perfectly capture the appearance markers. It’ll feel like you’re working with the real thing! Layer them, play with pressure, and even experiment with a few different marker “tips” such as a chisel, brush pen, or the classic fine tip. The range of different textures here is astounding. Some brushes go on completely smooth when you just want perfect, flawless color coverage that doesn’t just look like you went to town with the paint bucket. You’ll also find brushes for more inky markers and some for drier markers, because sometimes those are the best for texturing. As if that weren’t enough: this brush pack also comes with a tutorial and a 17 page user guide on Procreate so you get a whole lot in this one pack. 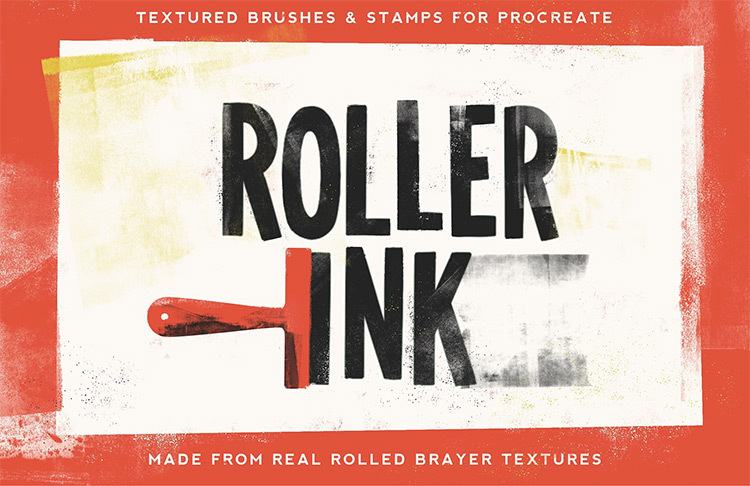 These unusual brushes mimic the effect of rolling ink with a brayer. There’s plenty of variety here if you can use them. Some of the roller brushes appear to apply more ink, and some apply less, depending on what you’re going for. The stamps look similar to applying ink with a sponge, block, or monotyping technique. With 6 roller brushes and 10 stamp brushes, this pack is perfect for adding some grungy textures and a cool monotype effect to your work. Cross hatching by hand can take forever. Especially if you’re using a super fine-tipped pen and really dense texture. These brushes make crosshatching a breeze. 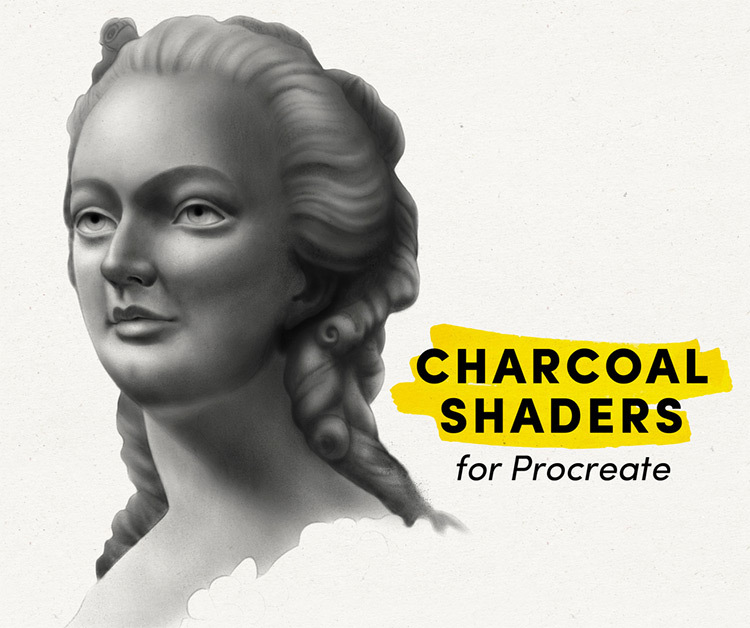 Try these 15 brushes for some easy scratchy shadows in your drawings with lots of different styles, textures, and line qualities for cross hatching. This beautiful pack lets you instantly add all kinds of textures to your mixed media style drawings. branches, triangles, paint splatters, dots, dashes, scribbles, swirls, cross hatching, several different kinds of leaves, you name it. 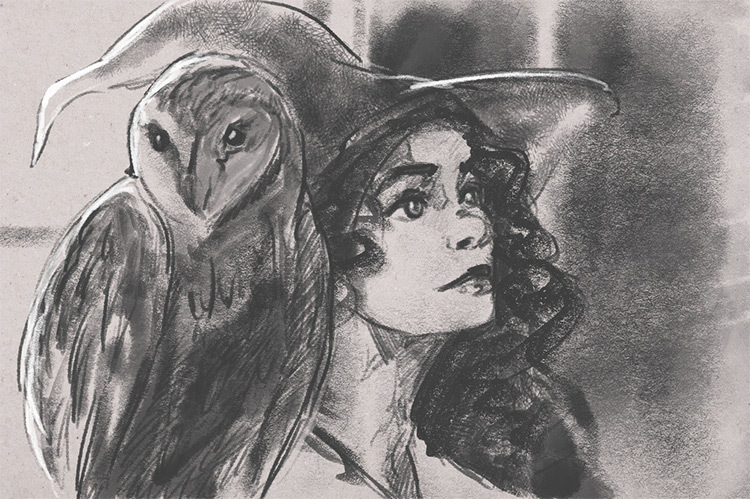 This pack is the digital equivalent of an artist’s drawing kit and includes brushes for traditional charcoal along with graphic pencils in Procreate. Use these brushes to get the appearance of different pencils and types of charcoal for a lifelike look without all the smudging. Unless you’re into that kinda thing. These brushes are great for adding real deep shading to your drawings, or for creating traditional-style charcoal and graphite drawings. They also allow you to easily master different textures and qualities of charcoal that are a pain to figure out with actual charcoal. 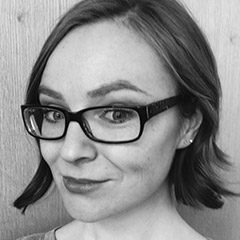 This pack is actually this artist’s unique brush settings specifically for comic book drawing. Procreate comes equipped with tons of great brushes, but sometimes getting the settings just right for your purposes can be tricky. 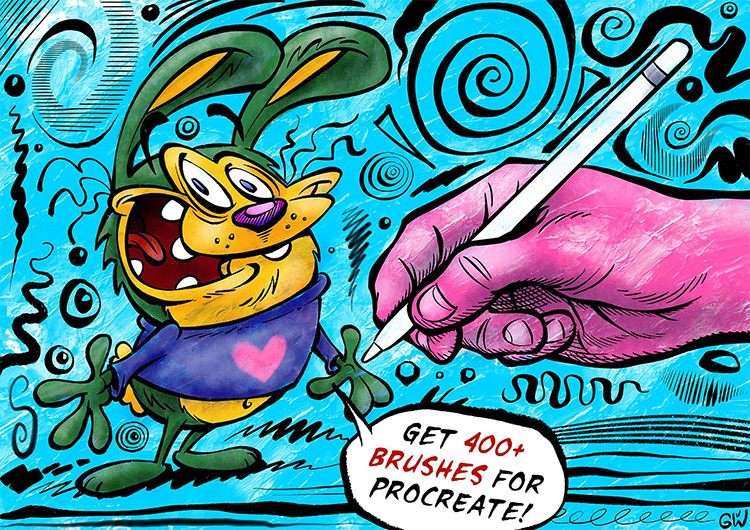 If you’re into drawing comics or cartoons, grab this artist’s setup for free so you can easily draw, ink, and color your work with a classic style. You might still choose to tweak the settings later, but this will at least give you a solid starting point. Here we’ve got one heck of a brush pack with 16 brushes specifically meant for portraiture and capturing human skin tones. You’ll find some basic brushes for setting up a portrait and high-quality blending brushes to get smooth-looking skin every time. And finally the kit includes a few special brushes for easily rendering hair and eyes. It even has a sparkle brush for adding a little whimsy to your faces! Some artists have mastered the art of drawing hair with a single brush. But at best, that process is difficult and time consuming. And that’s only if you know what you’re doing! These brushes will cut down a lot of time and frustration while drawing hair. The pack gives you a variety of brushes for quickly drawing a lot of hair styles, as well as brushes for adding those stray tendrils or highlights that make hair appear lifelike. There’s even a special brush for curls too! Grab this set for all your hair rendering needs whether you’re drawing humans, animals, or a mop in a wig. The art of drawing portraits is tricky for sure. But eyes specifically tend to give people trouble. This simple brush set makes rendering eyes much quicker and easier with innovative stamp brushes to layer a stunning iris in seconds. You can then explore the other brushes for adding veins, eyeshadow, and sparkles to give your eyes some life. This freebie is a single light effect brush for adding a quick glow to your drawings. It’s a simple brush, but the possibilities are endless. It’s perfect for creating dramatic lighting in a hurry or even for adding bioluminescence to fantasy characters or environments. Along the same lines as hair, fur can be difficult to master and will often be simpler with good brushes. This awesome pack is a set of 8 brushes for drawing fur of different textures with cartoony fur and lifelike fur in the mix. With this set you’ll get brushes for thick fur, porous fur, messy or matted fur, coarse fur, super fuzzy fur, and brushes for those stray little hairs that make fur look really polished. 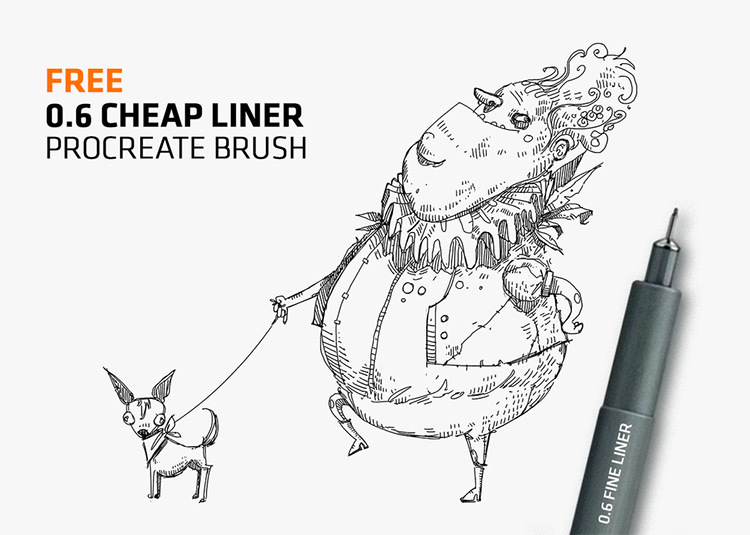 If you draw lots of animals or furry fantasy creatures then snag this brush pack ASAP. You may not think of Procreate as a typical program used for pixel art but if you have the right brushes, anything’s possible. 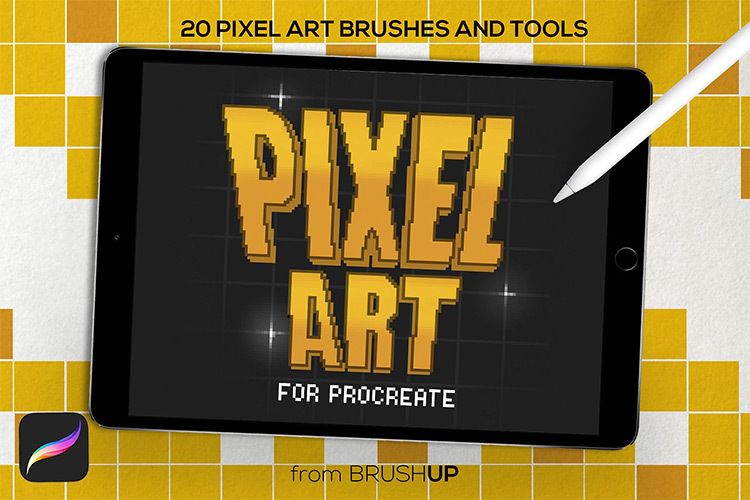 This unique set of brushes focuses on pixelated drawings with perfect geometry. Because let’s face it, nobody likes a pixelated line that’s unintentionally wobbly. 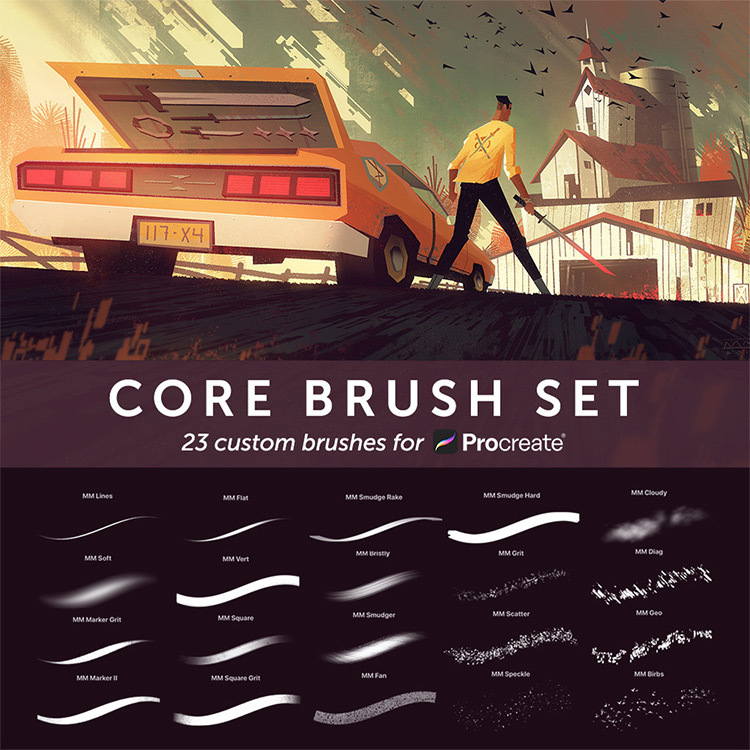 In this kit you’ll find 20 brushes that team up with the quick shape tool in Procreate to draw perfect pixelated circles, squares, and triangles, all freehand (ish). The pack also includes some blending and shading brushes, pixel brushes with opacity variations, and brushes for dots, dirt, bricks, and more! Just so you can add a little bit of texture to your pixel pieces. You’ll also get 3 pixel grid templates and a PDF to help you get started making pixel art. Colored pencils are deceptively versatile. This set of 11 brushes perfectly emulates the different textures you can get with high-quality colored pencils such as Prismacolors. Try these to add some fun and colorful lines to your Procreate art. If you’re overwhelmed with some of the bigger marker sets then try this scaled down version with just 3 brushes. You get three different marker brushes with different “tips” for completely different line qualities. These also have varying tips including a round tip, an opaque flat tip, and a translucent flat tip for layering that gives you that marker-y feel. When you get comfortable with this set you can try out some of the bigger marker brush packs and combine a ton of stuff together! Tombow brush fans will LOVE this pair of brushes. 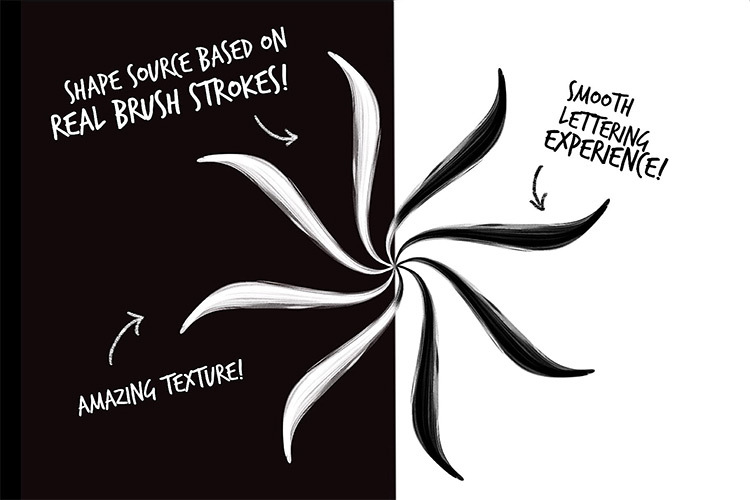 These two deceptively simple brushes were created to look and work just like a Tombow Fudenosuke brush pen. They feel super smooth and flowy, just like a real Tombow, and are perfect for lettering or doodling. With these in your toolbox your lettering and line work will always come out looking fantastic. Add some whimsy to your illustrations for a super cheap price. These 3 unique brushes kind of look like marker lines on a toothy paper that could blend with anything. 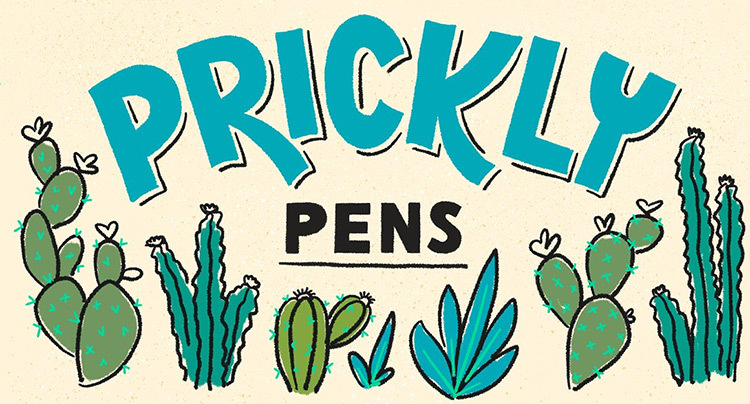 The 3 texture brushes come in 3 different styles: prickly, pricklier, and prickliest, depending on how much texture you want to add to the edge of your illustrations. Or you can really get crazy and make a whole drawing with just these pens. You do you. Speaking of fun textures, try these 17 ink brushes to add varying levels of splattery-ness to your art work. This includes some ink wash brushes for drawing backgrounds and 2 ink drawing brushes for fine lines. You can create a whole piece with very detailed inking marks. Protip: try layering the different splatters to get a realistic-looking ink splatter pattern. These work perfectly for any ink drawings. But you can use them to add a drippy or messy quality to your other paintings, drawings, and illustrations. 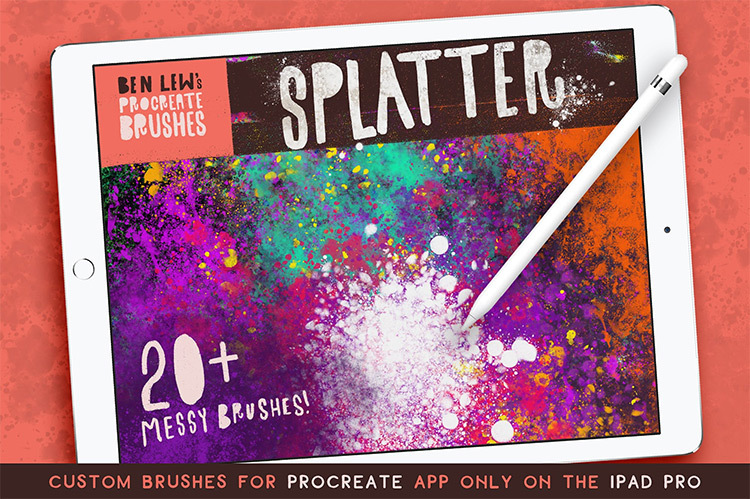 While we’re on the topic of splatters, this pack of over 20 brushes will let you create realistic paint splatter marks to add a fun messiness onto anything. There’s a wide variety of sizes, opacities, and splatter densities here. Some of these brushes look more like applying watered-down paint with a spray bottle and some are have really tight, opaque speckles. Some create big, loose droplets and others look like applying paint with a dry brush. Use this to add a touch of fun and movement to your illustrations, or if you ever find yourself going through a Jackson Pollock phase. It happens. 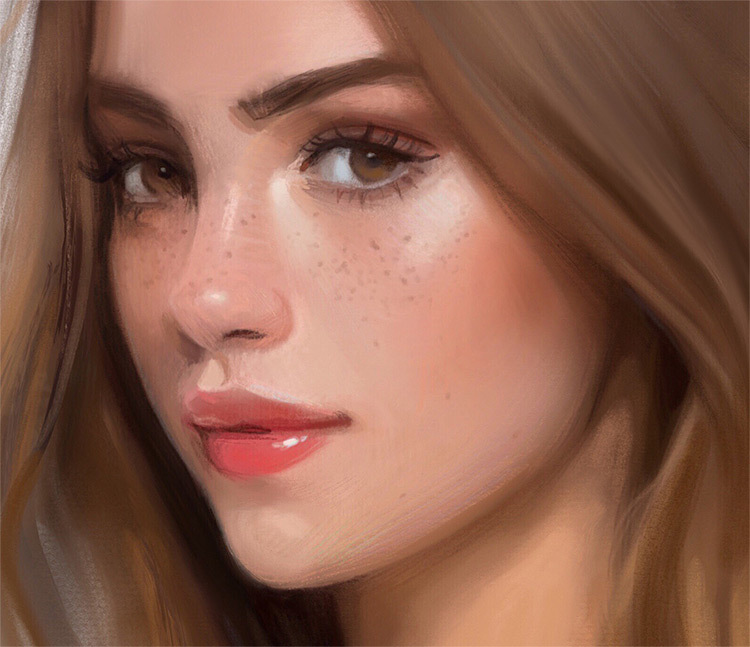 These 18 beautiful oil painting brushes are pressure and tilt sensitive so you can use the Apple Pencil like a real brush to get a lot of the same styles you would in real life. The different brushes embody different shapes of commonly used oil paint brushes, and also different amounts of paint on the brush. You can get dry, smooth, or wet paint to vary your textures too. The texture of the “canvas” also shines through to give the appearance of a realistic oil painting. 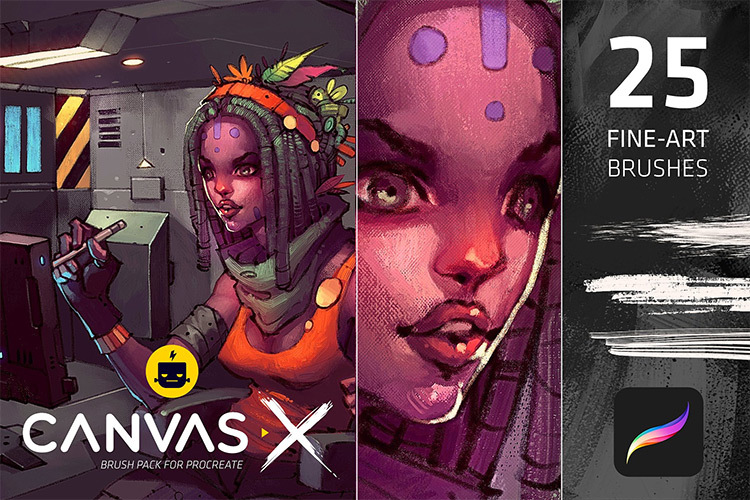 This is a great starter pack for digital painters moving from an oil background. Specifically for lettering, this set of 11 custom ink, marker, pencil, and pastel brushes helps you create beautiful calligraphy or anything else you wanna make. Print lettering or stylistic scrawling for comics, logos, anything with digitally drawn text. The brushes are super flowy and very responsive to tilt, so it’s easy to manipulate your lines. You can also use these for drawing, doodling, or sketching. Just note these are pricier than most other sets here so they probably aren’t the best choice if you’re brand new to Procreate. Smudging and blending is a huge part of crafting beautiful art, whether you’re using Procreate or traditional materials. 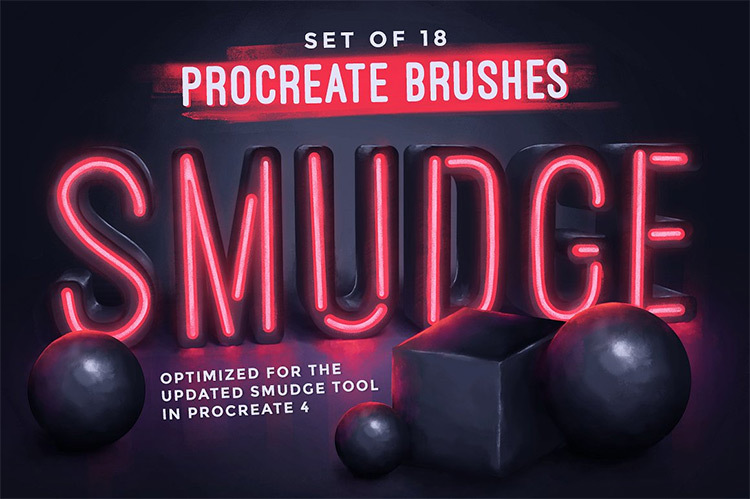 So here we’ve got 18 brushes perfect for blending, smudging, and creating all those awesome smudgy textures we all love. These different brushes can totally alter the look of your color gradients which can completely change the mood of your entire piece. Definitely worth playing with if you have the time. 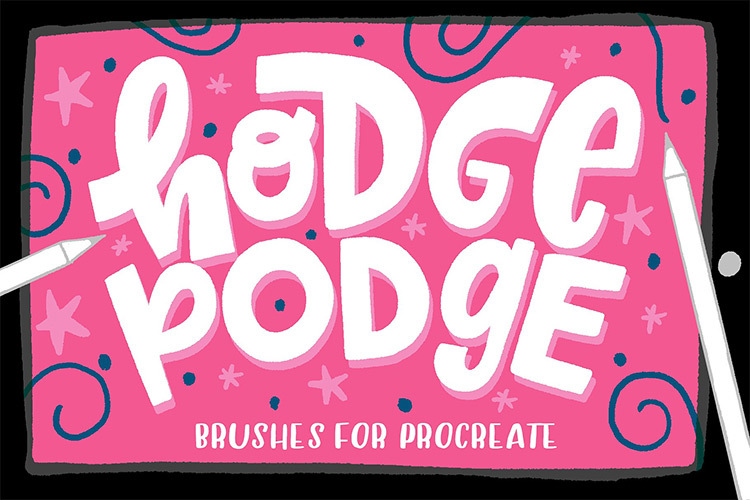 Quite a name for a brush pack but I think it’s a rather accurate. These work for just about any type of brush stroke or paint texture you can think of. 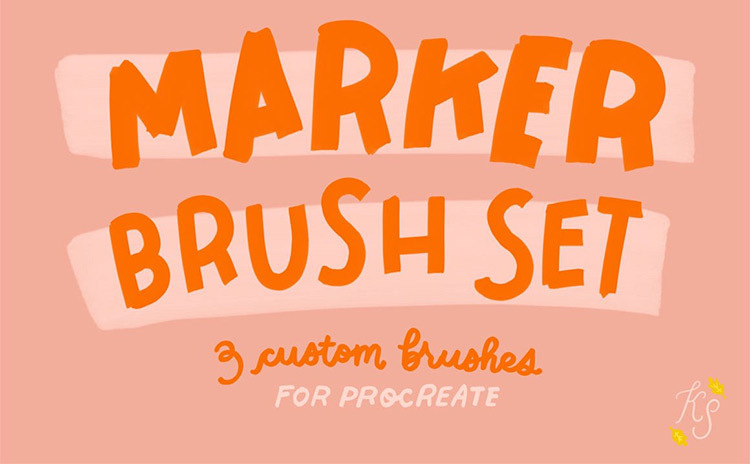 In this set you’ll get several brushes for dry brushing paint, for gouache-like paint (or “gwosh”), for smudging, applying solid colors, and pretty much everything else you need to paint like a pro in Procreate. These also work great for illustrations with a soft and fuzzy look. Really the sky is your oyster here with a ton of options to pick from. Use these 10 custom stippling and shading brushes to add grainy textures and shadows to your work. And trust me, they look freakin’ awesome. This includes brushes with different grain qualities and densities for just about anything you could possibly need. 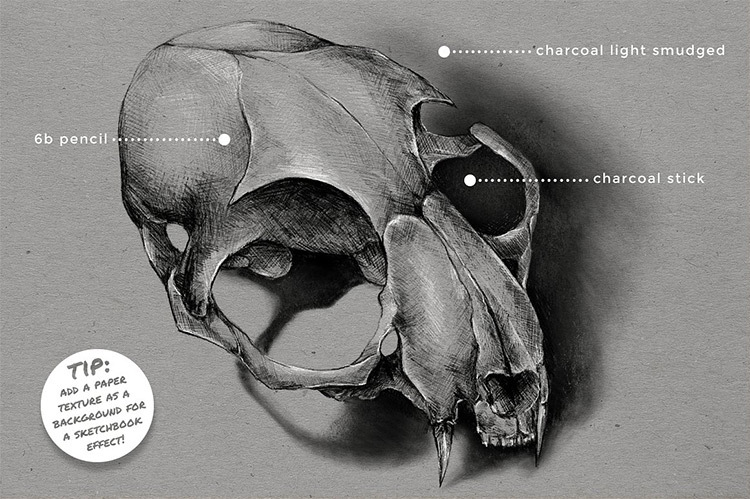 Play around with these to add a faded, distressed, or faraway look to your illustrations. They’re also great for adding stars to a night sky. 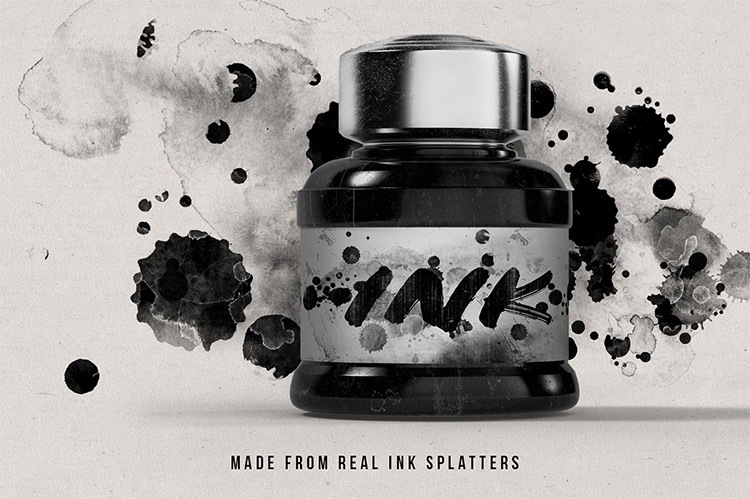 Here we’ve got another pack based on ink, water brushes, and art markers. 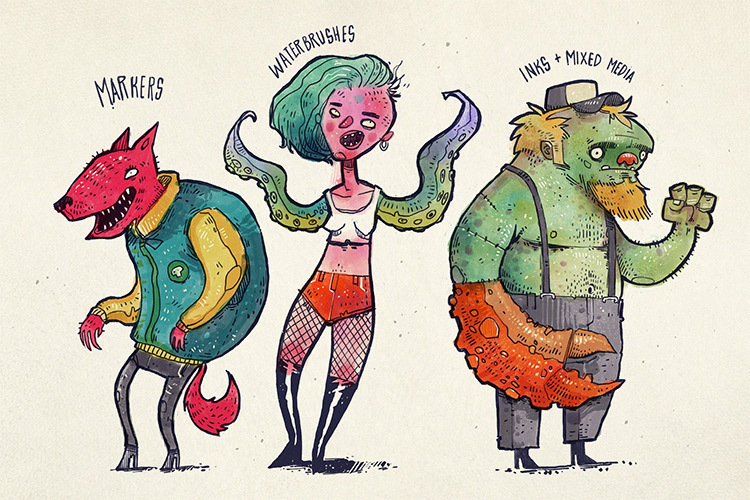 They’re great for designing creatures and characters and for illustration in general. 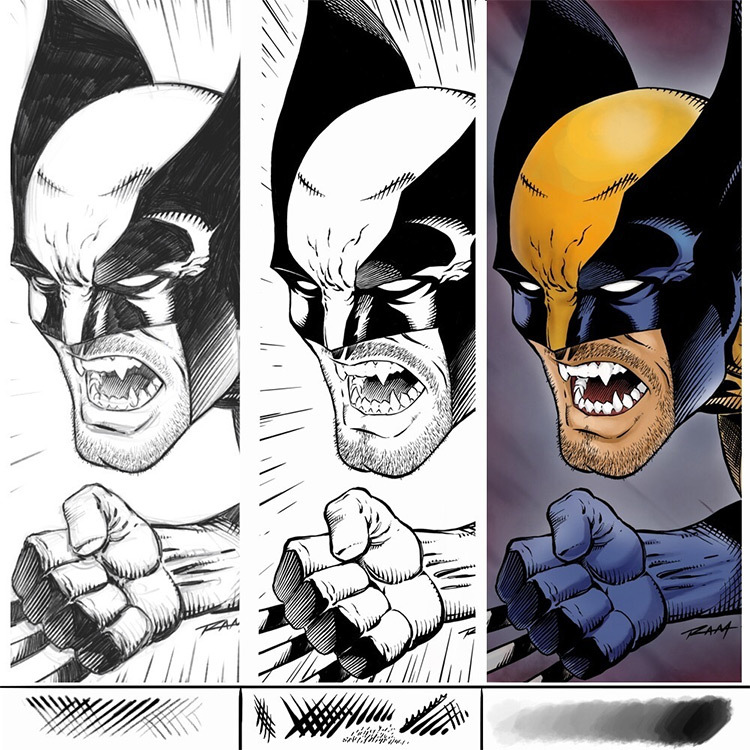 The marker brushes mimic different marker tips and ink saturation levels. Other brushes emulate textures like sponging, salting with watercolor, and dry waterbrush effects. You’ll also find a few different fine pens for just about any type of drawing or sketching you might like to do digitally. 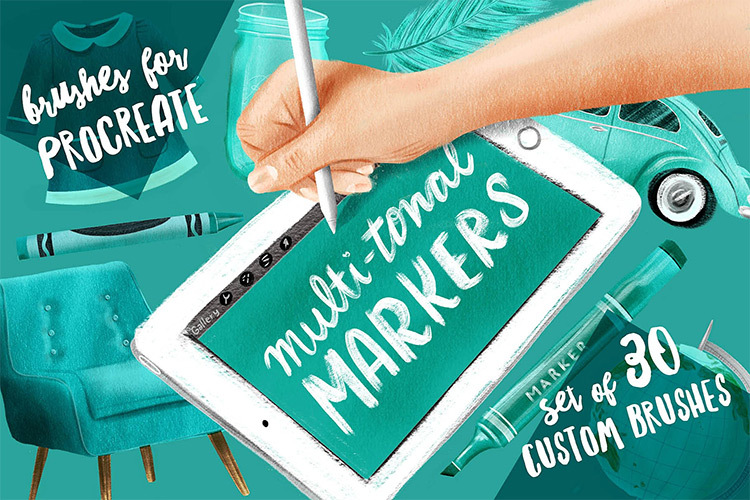 This pack is basically a one stop shop for illustrators. This monster bundle has brushes for paint, marker, graphite, ink, pastel, and just about everything in between. Not to mention a ton of different paint brushes and more than 50 color swatches to boot! With this download you’ll also get lots of different texture brushes to instantly apply paint in different styles and thicknesses. Endless possibilities await you with this bundle alone. Not to mention the dozens of others in this article! Last but certainly not least is this free brush back that absolutely deserves your attention. 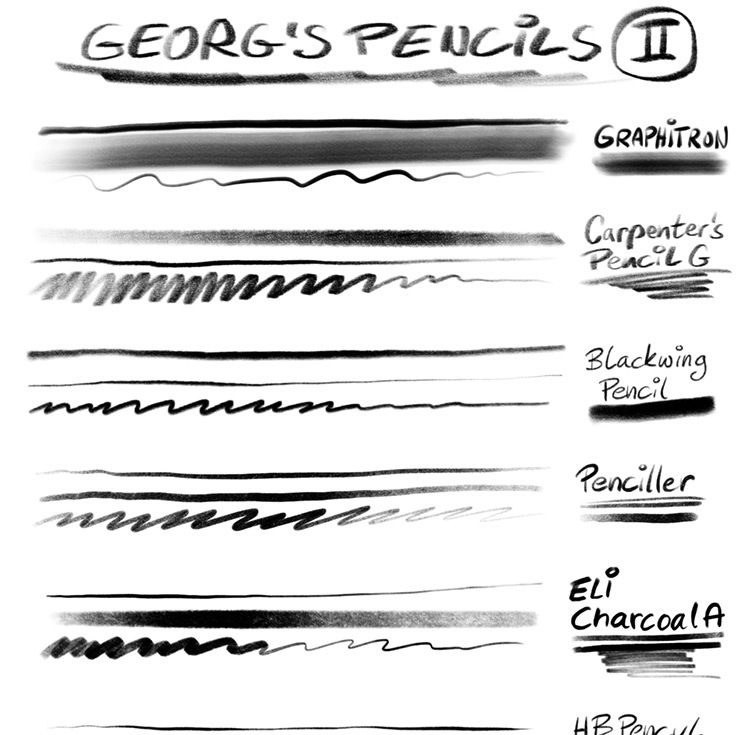 If you give this a shot you’ll want to use these 3 simple brushes all the time in your Procreate drawings. In this little set you’ll find a grain pencil, a heavy grain pencil, and a Copic marker. An eclectic mix with plenty of creative power. Nice and basic, perfect for beginners or if you just want to start branching out from Procreate’s default options. Have another look over this guide and see what stands out. There are so many brushes here that it’s easy to overlook the gems. But even with all these choices there is one thing I know for sure: with the right brush pack any digital artist could conquer the world.